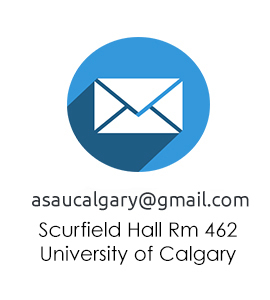 Everyday Haskayne students devote their time and efforts to improving the Calgary Community, and ASA is no exception! The ASA volunteered their time at Calgary Zoo Lights this past winter! We had a great time tending fire pits, setting up games, and supervising the children’s play areas! During the 2010/11 Christmas season the ASA sorted shoeboxes for Operation Christmas Child. Operation Christmas Child is an annual program run by Samaritan’s Purse collecting thousands of shoeboxes filled with toys, stationary, personal items, etc., which are sent to children living in countries stricken by war, extreme poverty, natural disaster, or famine. The ASA volunteered at the distribution centre where they sorted and packed shoeboxes to be sent as Christmas gifts. The Salvation Army Christmas Program allows volunteers to choose from a selection of toys, clothes, and gifts as Christmas presents to children of low-income families in Calgary. The ASA volunteered at the Salvation Army warehouse during the 2010/11 school year where members personally chose gifts and toys for children of different ages for Christmas. The Salvation Army runs this meaningful local program from October to November each year. In addition to the Christmas Program, the Salvation Army runs many other initiatives, such as Christmas Kettles, the Santa Shuffle, thrift stores, disaster services, and emergency food deposits. The first community initiative that the ASA participated in for the year 2010/2011 was the Canadian Breast Cancer Foundation CIBC Run for the Cure, held on October 3rd, 2010. The CIBC Run for the Cure is Canada’s largest single-day fund-raising event that is entirely volunteer-led. The Canadian Breast Cancer Foundation fund-raises for breast cancer research, in addition to programs that promote awareness and education for breast cancer. The CIBC Run for the Cure takes place every October in about 60 communities across Canada. In 2010, the run had about 10,000 supporters showing up in the Calgary location alone, and raised almost $1.5 million towards breast cancer research.